Peter is devastated by the death of Gwen Stacy, and is hell-bent on revenge. 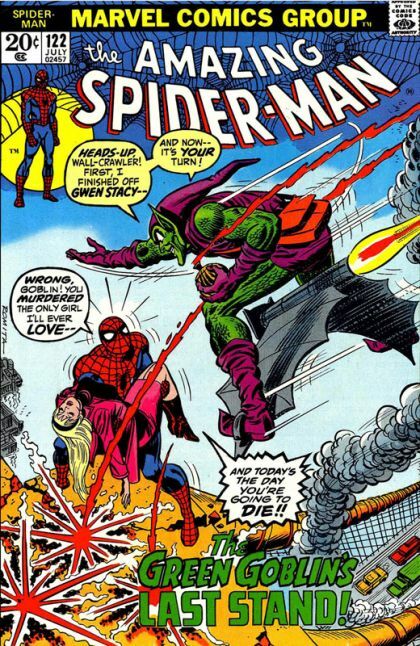 He abandons Harry in his time of need, and risks everything he has to kill the Green Goblin. Inker Tony Mortellaro, John Romita Sr.
Cover Artist John Romita Sr.